Last Updated: 20 Aug 2018 - minor wording changes and added a reference to the CIMB Platinum Mastercard and YouTrip - the closest I've found to a Credit Card with no overseas transaction fees. This is quite a specific topic and probably only relevant to a specific subset of people. How many (tens of?) thousands of people have done the jump between Singapore and Australia, and out of those people, how many people actually care enough about the differences between the Credit Card markets to feel interested enough to read up on it? I'm gonna write about it anyway, because I feel like it. For some of my more regular readers, you would be aware that I recently made the hop from down under to "the little red dot". Here's what I've noticed in terms of the differences between the Credit Card market in Australia and Singapore. In Australia, it's almost always "earn 1pt/$", or "earn 1.5pt/$". In Australia, cashback was earned on all expenditure at a flat rate. In Singapore, cashback is divided into different categories, e.g. dining, public transport, petrol, groceries, air travel, hotels - similar to what I've noticed in Malaysia. I'm going to guess this is a South East Asian thing! This also makes it very admin-intensive for you on a personal level to try and remember what cards get you what amount of cashback at which places. You'll also need to consider minimum spend and whether there are any monthly or quarterly caps! Banks "cover" themselves from "Credit Card sluts", or simply cover their financial downside by implementing minimum spend thresholds on monthly expenditure to be eligible for cashback, and cashback is also capped on either a monthly or quarterly basis. Notice what I said: there are minimum monthly spend requirements. It can get a little tedious to manage. 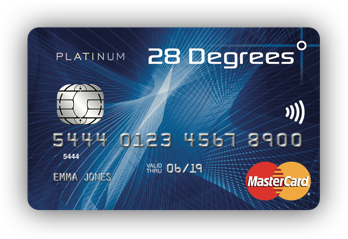 Direct-earn cards (cards that earn direct into Qantas Frequent Flyer or Velocity) are not as common here as they are in Australia - both a good and bad thing. These types of cards exist in Australia too, but the earn rates often still don't make paying the foreign transaction fee worthwhile. [UPDATE] 20 Aug 2018: I found the CIMB Platinum Mastercard. There's no "admin fee" on foreign transaction charges, but under "Fees & Charges", there is a 1% fee for "all foreign currency and cross-border transactions levied by Mastercard and Visa". [UPDATE] 20 Aug 2018: I've also stumbled upon YouTrip which is a prepaid card with no foreign transaction fees. However, this is still not quite a Credit Card. This is probably the best option I've found so far for overseas expenditure with no additional fees. 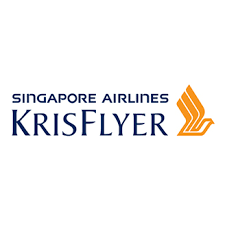 Due to KrisFlyer's dominance and their partnership with Velocity, it means it's actually significantly easier to indirctly earn Velocity points in Singapore than it is Qantas. Keep in mind the conversion rate between KrisFlyer to Velocity is 1:35:1 (from the transferring program to the receiving program) and it doesn't make much sense (value-wise) to do this conversion from KrisFlyer to Velocity. American Express - their cards are not as valuable in Singapore as they are in Australia! Anecdotally, I've been told annual fees on Credit Cards are "just for show". To be more precise, annual fees can be readily waived. In fact, when you call up your bank's Customer Service, one of the options is "press X to waive your annual fee"! I have not tested this yet, but I'm also under the impression that if you just hold a card and never use it, it might be a bit harder to have your annual fee waived. Thus far, it's been described to me that pretty much all cards can have their annual fees waived except the most expensive ones. Sign-up bonuses for miles/points in Singapore are much lower than in Australia. In Australia the largest bonuses tend to be around 70-120k points (often Qantas or Velocity) for new sign-ups upon meeting some kind of criteria. In Singapore, the highest I've seen so far is about 40k in KrisFlyer points. Even then, the criteria is typically more than just "spend $3000 or more within 3 months". It's more like "spend $1000 within 3 months, add a supplementary card and spend $200 on the supplementary card within 3 months. Oh, also excludes EZ-Link top ups"
On the other hand, you can often get sign-up bonuses where you get a fixed amount of cash (e.g. $80, $120, $160). In Australia, whilst these are offered, the sheer magnitude of bonus points awarded often means the cash incentives are less attractive. Alternatively, they sometimes offer other goodies, such as a suitcase. Restaurants often have discounts if paying with cards from specific banks, e.g. "Pay with Citibank and get 15% off your bill"
It's for this reason that if you wish to "cover all your bases" and ensure you get discounts everywhere, it's not uncommon for people to have 5-8 cards! Expenditure on Credit Cards can affect the amount of interest you earn on the money sitting in your bank account, assuming your money sits in a bank account issued by the same financial institution as your Credit Card. As a simple example, the DBS Multiplier account requires some sort of Credit Card spend on a linked Credit Card for you to be eligible for a higher interest rate. Which market is better? Hard to say.. I'll make a dedicated post about that in the future. Which Market is Better for Credit Cards - Australia or Singapore? Which Market is Better for Bank Accounts - Australia or Singapore? Feel free to ask any questions you may have on the topic! Aug 16 What's GrabPay and is it any good?